The end of May sees 2 fantastic events for those wanting to explore deeper into the incredible wines that Abruzzo is now famous for across the globe. 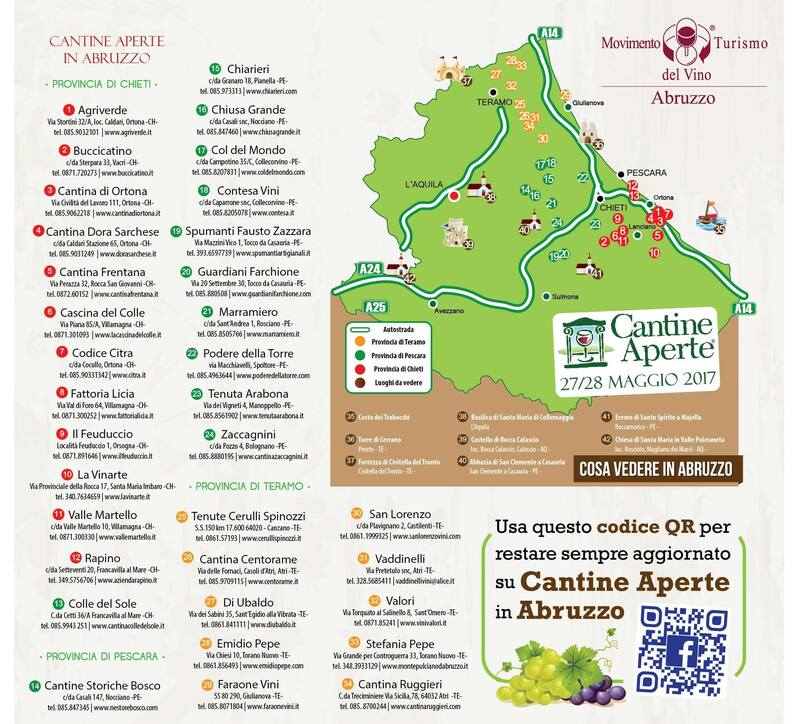 2017 is Abruzzo’s nineteenth Cantine Aperte and this year’s 2-day celebration sees 33 cantinas across the provinces of Teramo, Pescara and Chieti open their doors for an indulgent-tasting of the best from their cellars. The art of pairing and promotion of Abruzzo’s enviable DOP and DOCG foods is being recognised this year through a new program ‘Oro d’Abruzzo’ that will be run at the cantinas and provide a delicious complete taste of rural Abruzzo. Some wineries offering visitors trekking, mountain bike rides, concerts and theatre. There’s an evening Abruzzo Wine Showcase at the Oxo Tower in London on Wednesday 31st May. The evening event will showcase the Abruzzo in 50 Wines selection with plenty of Abruzzese canapes to accompany great wines. MW Sam Caporn (www.mistressofwine.com) will be providing masterclasses in Abruzzo wine. Tickets for the evening £12. Words of Wine Awards - Abruzzo's European Blogger!